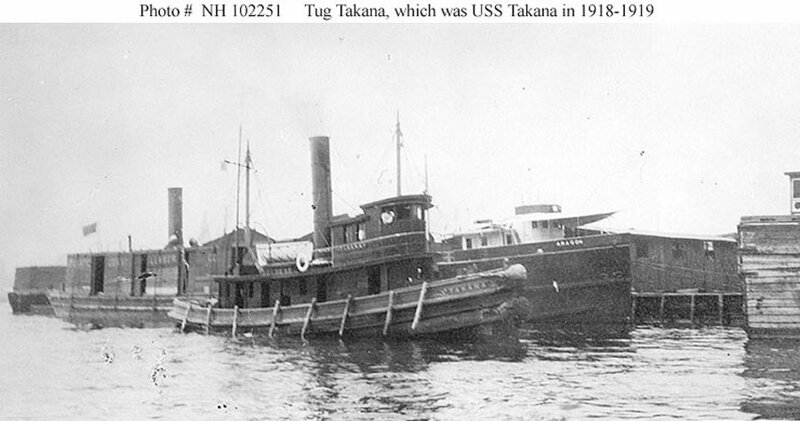 Tug: Built in 1915 by M. M. Davis and Son, Solomons Island, MD; Acquired by the Navy 2 July 1918; Returned to her owner 13 June 1919. Fate unknown. Specifications: Displacement 172 t.; Length 69' 5"; Beam 18' 7"; Draft 7' 9"; Speed unknown; Complement eight; Armament one 3-pounder. 84k Photographed prior to her World War I Naval Service. The steamship Aragon is in the background.